Rationally Speaking: Is Cosmological Natural Selection an example of extended Darwinism? Is Cosmological Natural Selection an example of extended Darwinism? Be that as it may, it is because of similar worries that I have intended for a while to take a look at Lee Smolin’s theory of Cosmological Natural Selection (CNS), which is by far the most ambitious attempt so far to generalize Darwinism to the whole cosmos — indeed, to the full multiverse! I have a lot of respect for Smolin (though we haven’t met, yet), particularly for his lucid and insightful book on The Trouble with Physics, which is not only a critique of superstring theory, but a scientific, sociological and philosophical survey of the current status of fundamental physics (and the picture ain’t pretty, according to Smolin). Still, I do have some qualms about the analogy between CNS and the biological theory of natural selection (BNS). Let me be clear on what I am about to attempt in this post. This will not be a critical evaluation of CNS qua theory in the physical sciences. I am simply not qualified to do so, and I leave that task to Smolin and his colleagues (though I must admit that I like the idea of a mechanism along the lines of what Smolin presents). Rather, I will focus only on the parallel — which Smolin draws explicitly — between CNS and BNS. I will argue that such parallel should be understood at best as a loose metaphor, not as a scientific expansion of Darwinism. Also before getting started, one might reasonably wonder why bother making distinctions of the kind I am about to make. Several reasons: first, this is what philosophers do; second, it seems to me that conceptual clarity is intrinsically a good thing (see first point); third, I am arguing against unwarranted expansions of a given scientific theory because of my belief that scientific theories have proper domains of application, and that no theory is “universal” (no, not even the famous “theory of everything” that fundamental physicists are after, for reasons that I will not explore here but that are related to my recent posts on Ladyman and Ross’s naturalistic metaphysics); fourth, because perhaps conceptual clarifications will even turn out to be useful to the scientists involved, especially those like Smolin who are philosophically sensitive (as opposed to those who aren’t). Now, then, the next step is to get a minimal understanding of CNS, which is not necessarily an easy task. Above I linked to a nice paper by Smolin himself, which can be read and largely followed even if you are not a fundamental physicist. Smolin also has a book out that expands on CNS, The Life of the Cosmos, and a new one coming out soon, entitled Time Reborn. I have also asked Smolin directly for clarification, as well as cosmologist Sean Carroll. They both graciously answered my queries and have authorized me to quote them briefly where needed. Smolin’s theory is an attempt to solve the so-called special tuning problem, the idea that “both long lived stars and stable nuclei owe there existence to highly improbable tunings of the parameters that give large hierarchies of dimensionless parameters” (all quotes are from Smolin’s paper, unless otherwise specified). One answer to this problem is a version or another of the so-called anthropic principle, which invokes special considerations for the evolution of life, and which Smolin finds inelegant and untestable (and so do I). CNS was also generated as a way to prove that so-called “landscape theories” (like superstring theory), i.e. theories that generate a large landscape of possible physical instantiations of their parameters, can in fact be falsified, despite the apparently very large number of theoretical possibilities that characterize them, and therefore the looming specter of underdetermination by data. * The world consists of an ensemble E of universes, each of which is characterized by a point x ∈ L and hence by a point p = Ix ∈ P.
* Black hole singularities bounce and evolve to initial states of expanding universes. Hence there is a fitness function f on P where f(p) is equal to the average number of black holes produced by a universe initiated in such a bounce transition, which has parameters p.
* At each such creation event there is a small change in x leading to a small random change of x in P. Small here means compared to the step size under which f(p) changes appreciably. In plainer language, collapsing black holes spawn baby universes, and these newly formed universes are characterized by combinations of parameters similar but not identical to the one of the “mother” universe. The process therefore includes physical analogies of both reproduction (new universes are formed) and mutation (the physical parameters of the progeny universes is variable). The idea is that some of these universes will “die” before reproduction is possible, while others will reproduce prolifically, and that the difference is due to the physical parameters of each universe. The fact that we find ourselves in a universe with certain parameters, therefore, is not an accident (nor, contra the anthropic principle, is the result of an alleged necessity for life — though, crucially, CNS does generate universes with carbon chemistry, which is made possible by the existence of massive stars, which are in turn necessary for the production of black holes). Rather, it is simply the result of the fact that universes like ours are maximally capable of producing black holes (this latter point, however, has been challenged by Joe Silk, one of Smolin’s critics; another objection that has been raised, by John Polkinghorne, is the possibility that under certain scenarios short-lived universes could actually reproduce more efficiently than long-lived ones like ours). I mentioned the falsifiability criterion: my understanding is that Smolin predicted — among other things — that we would not discover neutron stars more than 1.6 times more massive than the Sun. Apparently, one such object has been discovered, though it is only slightly off the predicted range (2 solar masses). There seem to be ways of reconciling this discrepancy with the theory (which, of course, brings up the whole philosophical discussion of what one means by falsification), but, again, this is physics and I’m not going to dwell on it. The rest of Smolin’s paper deals with a detailed reply to an objection to his theory advanced by Alexander Vilenkin. Both the objection and the rebuttal are very technical, but I need to quote a couple of passages because they are pertinent to my analysis of whether CNS truly is analogous to BNS: “If Vilenkin’s argument works against cosmological natural selection, it works also against many predictions of Darwinian biology.” Here it appears that Smolin is relying on the cachet of the Darwinian theory to support his cosmological theory by drawing once again a close analogy between the two, but he then immediately admits that “Vilenkin’s argument could be used to discredit many predictions of science which up till now were thought to be established.” Not just predictions of Darwinian science, but of science in general. So one does not actually need to invoke the special case of biology in this context. Smolin, toward the end of his paper, says: “My main claim is that it is the time bound, evolutionary picture, which is best suited to the world as we observe it, because what we observe is in fact a universe evolving continually in time. By contrast, the main theoretical object one works with in eternal inflation and the anthropic principle is not a representation of what we observe, it is an entirely invented eternal and static multiverse.” Again, I like this idea of looking for a physical picture of the evolving cosmos, rather than for timeless and universal answers — but “evolving” here could simply mean changing over time, it doesn’t have to do with the specific technical meaning that the word has within the context of evolutionary biology. And now to the crux of the issue. I see at least two significant disanalogies between CNS and BNS. The first is that at best we should be talking about “sorting” rather than “selection.” The second one is the twin issue of heritability and mutation connecting mother to baby universes in a “lineage” analogous to biological ones. (1) The principle of variation: among individuals in a population there is variation in form, physiology, and behavior. (2) The principle of heredity: offspring resemble their parents more than they resemble unrelated individuals. (3) The principle of differential reproduction: in a given environment, some forms are more likely to survive and produce more offspring than other forms. Let’s start with number (3): notice that differential reproduction — according to Darwinian theory — has to take place “in a given environment,” because there has to be competition for resources in order to have selection for the most fit individuals. It is not at all clear what this common environment would be in the case of the universes making up a multiverse, since they are not supposed to be in contact with one another. Now, in biology there is a (hypothetical, highly debated!) situation where differential birth and death do lead to non-random evolutionary outcomes, but it is referred to as “sorting” and has been famously proposed by Steven Stanley in the context of evolution between species (so-called “species selection,” which is not selection, but, again, sorting). Species may give rise to sorting because they may have species-level characteristics (such as dispersal frequencies, or geographical distribution) that may increase the frequency of speciation or decrease the likelihood of extinction (and, again, speciation and extinction are things that happen to species, not individual organisms). Insofar, then, as universes have a lower likelihood of dying out (longevity due to stability) and/or a higher likelihood or originating baby universes (because of their black holes), there can be sorting. But it would not be natural selection because the universes aren’t competing for resources in a common environment. (1) and (2) on Lewontin’s list require a mechanism for producing variation (in biology, mutation and recombination) and a mechanism of heredity. 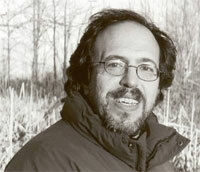 Smolin does claim — as we have seen — that baby universes inherit their “mother’s” parameter settings, and that moreover this inheritance is subject to random variation, but I couldn’t find anywhere in his paper a reference as to how exactly cosmological mutation and inheritance are supposed to work. So I asked Smolin whether I got his point correctly, and he answered: “The answer is yes, I postulate that the analogue of the genes are the 20+ dimensionless parameters of the standard model of particle physics and that when new universes are created in black holes they inherit these values from the parent universe subject to small random changes.” The key word here is “postulate.” I have asked for further clarification as to the basis of this postulation, but have not gotten a response yet (if I do, I will post it, or perhaps I can talk Smolin into writing a commentary for Rationally Speaking on this subject). So, it seems to me that cosmological natural selection is at best analogous to species sorting in biology (a mechanism that has been hypothesized but is controversial), not to the much better established principle of natural selection. Moreover, to say the least, even this is very tentative, unless and until someone discovers an actual mechanism of cosmological inheritance and variation. It is true, of course, that Darwin himself didn’t know anything about mechanisms (a point Smolin makes at the beginning of his paper), but it is also the case that Darwin could demonstrate both selection and inheritance readily, while nothing like that has been established in the case of CNS. If I am correct, then, CNS is an interesting theory in cosmology, but the analogy with BNS may be incorrect and is at least problematic. Which reinforces my specific point about the need to be careful before declaring the universalization of Darwinism, and my more general point that scientific theories — qua human constructs about how the world works — should be thought of as having proper domains of application, domains that need to be respected to avoid conceptual confusion. Why can't these 20+ constants fall out from some deeper, as yet undiscovered, understanding? There'd be no need for CNS or anthropic principle arguments. Seems like jumping the gun a little. I would recommend readers first take a look at my free book by download at www.thehumandesign.net before moving on to Smolin and his unfamiliar abstractions. Anthropism applies in two stages, the first is the creation of an earth-type planetary surface by physics and chemistry (its chemical composition reflects the proportions in nature - no great difficulty). The second is the evolution of life on earth (from that chemical composition on its surface as an environment supporting chemicals assembling within it). The first looks fairly regular, and the regularity of the second, based on the first, will be obvious from my book. The unspectacular rule from Darwin, blown up in significance because it unshackled humans from God and shackled them to the environment, is that environmental fitness is required for survival of an entity. Smolin's would be another attempt at selling books and gaining notoriety as much as it is science. Too much of the Multiverse, Mr Wizard, and Tooter Turtle, because they have run out of ideas. Was there selection at the Big Bang? Did everything select itself simultaneously (given that expansion of each part is broadly homogeneuous across the entire)? Does eveything continue to select itself as it evolves cosmological structures uniformly as it expands? Don't bother answering those questions, just read my book. What connection earth's atoms had to the entire universe (as environment) ended at the Big Bang, and may not have existed beyond very local influences anyway. We do not know the initial starting conditions of the Big Bang and its arrangment of matter. Evolution is uniformly radial across the entire, going through regular stages over time in isolating pre-programmed expansion (by their intrinsic properties). If anything it is the opposite of Darwinism, as selection would be at the Big Bang and therafter proceed automatically, rather than automatically proceed (grow something) to be selected afterwards to weed out duds. Back to the drawing board. Massimo, I should add that you are now contradicting your earlier reliance on Platonic Idealism (L & R) as a reality in the world outside the human mind that abstracts them. You seem to now recognize without difficulty (or at least not challenge at all) that physics does rely on 20+ real constants. However, your intepretation of them a 20+ Dimensionless Constants might be to preserve your position (making them dimensionless), I don't know. If so, it's very misleading, and misleading in any event. For readers, in fact they are three-dimensional and temporal, for example, as masses, speeds, and various measurable quantities. A lesser number of them are "Dimensionless" in the sense that they are proportions between the Dimensional Constants (and necessarily just a number relating their dimensional states and not just "abstract" numbers). If we can't steer clear of Mr Wizard, let's improve the basics, with consistency to an already stated position. The reference to Selection being expost and not predictive or weakly so is an important admission of what Lakatos and I say about Darwinism. It may be non-scientific as it is non-predictive. However, later it the article it is accepted that physicists may see Darwinian Selection as predictable. They shouldn't, and it would be better to say that clearly in the article and to warn them not to be so hasty about what they seek. Cosmological Evolution is, if anything, the opposite of Biological Evolution by lacking Selection. I don't see what accepting (or not) a particular physical theory about the number of dimensions in the universe has to do with one's sympathy (or lack thereof) toward a particular ontological treatment of mathematical objects. They do not seem to have any relationship to me. At any rate, stay tuned for a post explicitly devoted to mathematical Platonism. On the issue I raise, the 20 + constants are not dimensionless, contrary to your references in the article. On the issue you raise, being dimensional grounds them in the reality of dimensions (including periodicity), rather than an abstraction in being dimensionless. I see mathematics as no more than a language to reliably define things that have dimensionality and it does not have a life of its own except as an abstract. Real dimensional objects would be defined by mathematics, but mathematics would not constitute an object in itself (merely abstract symbols that either apply or do not apply to realities). On math, as I said in the previous thread, rationality is matching abstracts to reality, to progress. Reality is every individual thing in the universe (Particulars) and their relations (Universals). One is abstract about either (that thing over there! wrong, nothing is over there, or 1 bird + 1 cow = 2 cows, wrong, no such relation between birds & cows). Or, one is real about either, including the real use of names & numbers for things. Names and numbers for individuals are like files in computers and simple counting, they all get a name, and the names can be numbered (no relations, just numbered). This is "pure" naming & math. It applies to a composite (as an individual universe) that can be decomposed to individualities. That cup is an individual composed of that handle and bowl (2 individuals) or that molecule and that one etc (millions of individuals). I could call that cup "Fred", as "cup" is in fact generic. We experience the world by using that individual cup, for example, even if we don't name every cup separately and we confine it to people and computer files. We have "applied" naming & numbering for relations. Like individuals, if relations are not real, they are abstract. Applied names & math is "2 cows", where 2 assumes a relation between individuals as cows. We are no longer simply counting, and we use names & numbers for Universals as shared properties of the individuals. There would be no Platonic realm of relations. I have no idea what issue you are raising, but the reference to dimensionless constants is straight from Smolin's paper, and it is standard physics, so I seriously doubt you can argue with it. I am raising the issue of what mathematics may be, quite obviously, in its broadest context applied to realities. You mention Mathematical Platonism, so I provide a context for it, which does not admit math as dimensionless or abstract. As explained by me above, all constants are based on dimensions & periodicity, check any encylopedia. The 20 + constants are well known and explained, and he uses them explicity. I see it as a fundamental error to simply report what others say when they are abstract ideas without checking or challenging. In short, I have no idea why you have no idea, a common problem in discussions here perhaps due to the level of attention given to comments (and articles). A poor excuse in my book. whatever you write in your book, it is a fundamental error not to try to understand what it is you are allegedly talking about. Fundamental parameters in physics are dimensionless by definition. This isn't Smolin's arbitrary choice, or my unwillingness to criticize him. Take the gravitational constant, for instance. What would it even *mean* to attach dimensionality to it? Understanding is indeed my motto, and preferably before I wtite about it, which is what I achieved by avoiding vague & misleading concepts. My book could not be clearer in its structure. Take note, the gravitational constant is dimensional. It is a proportion between dimensional states that derives its reality from those states and has none whatsoever of its own (read my post above about numbers for objects in mathematics - realities). The G constant is "the term fundamental physical constant has also been used to refer to universal but DIMENSIONAL physical constants such as the speed of light c, vacuum permittivity ε0, Planck's constant h, or the GRAVITATIONAL CONSTANT" http://en.wikipedia.org/wiki/Dimensionless_physical_constant. It's amazing that I have to say many things multiple times here because the replies are so awful, but hopefully readers are learning how to think and write and my efforts are not wasted. You have not grasped the concept. Wiki explains that "dimensionless" is a word used for proportions relating real units, and thus a number only. Regardless of choice of units, it always applies to real units & events. You have not read my comments above about the two types of constant. I don't care if they call it dimensionaless as long as they explain (as Wiki does) that it means it it just a number depending upon ing real units & events rather than being a real unit and event "in itself" (being a number). It does not exist without those units & events. I have made no error I can find, or you can indicate, in pursuing knowledge about these matters. However, you seem to have little or none, and to slavishly follow a mantra passed down by a superior without question, that's awful. And the irrelevant reference to my book and may aims falls totally flat, an awful & obvious attempt at avoiding responsibility for failed rationality on your part. You may not understand the importance to rationality of avoiding slavish obesrvances and the Schoolman mentality. As for my book, seeing as you raise it, you clearly need to read it. I would have thought it has reached that stage after several months of my illumination of the gloom here (I should offer at $100 prize to anyone who can show my rational defeat in thread challenges here, such is the difference in quality between mine and other comments). Regardless of whether you like me or my frankness, NOT reading my book would be foolish for any readers at this stage. Indeed, you should do an article or podcast about it ASAP, such is its value. Since the discussion was about said 20 parameters, not about G, you still need to revise your position. We all humbly thank you for the inordinate amount of time you invest in elevating us to your heights. I honestly don't think of Smolin as a "superior" (whatever that might mean in this context). He is a colleague with expertise in an area where I don't have it. It is rational and respectful to acknowledge that. Again, we are all in awe and grateful for your imparted wisdom, though I do wonder why you are wasting so much of your precious time with hopeless morons such as myself. Add another enigma to the list of mysteries of the universe. I am a modern saint, no doubt. But to the point, you didn't read Wiki or my post early on the difference between the dimensional & dimensionless constants, or what dimensionless means in Wiki and in my use of math based on real physical identites (never otherwise except as an abstract in one's mind). Never mind, I won't be so saintly as to repeat it again, I can only turn the other cheek so many times before getting dizzy. I will merely say do read how there are dimensional & dimensionless constants, and the that "the values of the dimensionless physical constants ... are determined only by physical measurement." (Wiki ref above) - based in reality. It's not about you or your embarassment or inadequacy, it's about education and rationality for the benefit of others given you appear to have little interest, so I will hang about for a while (cheers from the bleachers*). You are not a hopeless moron, but you could be puffed up with pride and in need of a little humility in accepting your limitations, as everyone should. Some advice would be not to drive trucks through small gaps in knowledge. They are not an excuse for anarchism. You have quite effectively ground me to a halt by simply denying and by not reading (very easy to do). Marcus, you are the epitome of the Dunning-Kruger effect when it comes to introspection. You are a "modern saint" accusing others of lacking humility? See that for what it is, please. Was it sarcastic to express that you're doing Smolin a favor? Or that Coyne and Dupre should read your writings? Repeated references to your book as the solution to misunderstanding? You can backpedal once, but the pattern is unmistakable. Or do you backpedal as a pastime? Sorry Massimo for feeding this fire. No, I am doing Smolin a favor in my opinion, and Coyne & Dupre should read my writings, and references to my book are solutions to misunderstanding. How far they will get in understanding it remains to be seen (if they read it). I wouldn't worry about my confidence unless you have something substantive to contradict my writing (which I haven't read from you to date). So, contrary to backpedalling (an unfortunate hasty comment by you), I am not a modern saint (in reply to Massimo's eternal gratitude - also sarcastic), but my writings would be valuable to those academics. If you disagree, back it up with substantive argument rather than, as you recognize, continuing with feeding nothing into the argument. Let me posit a moral to this story: stay on track with facts and argument, and don't veer off it into suppostion and assumptions about things you can't substantiate. That's, as you recognize, feeding out nonsense rather than making a real contribution. It can be achieved either by being absorbed in factual argument by hard work, or avoiding the tendency to irrelvant argument by discipline. This is a great concept, fun for potential authors to fit into a sci-fi book. Like so many other ideas, it will sit indeterminate in my head, ready to be recombined. I'd be interested to see speculation on the mechanism behind inheritance and variability. There are other ways to conceptualize how a sorting algorithm could apply to our universe. This is a fun topic(for idle or layman speculation). Marcus, I think the idea is selection at a point prior to the big bang, during the birth of our universe. Born from a mother universe with similar characteristics. Once born, the parameters are static(I think). You didn't attack the heart of his concept. At or prior to the Big Bang are the same to me. The issue is that selection in Darwinism operates after the parameters of the entity have changed by cumulative random mutation, and then it is tested for survival in its novelty. There are two stages, building a thing, and then having it's parameters selected. That is the entire point to Darwinism and so it is most fundamental to compare the staged automatic evolution from pre-determined parameters rather than post-determined Darwinian parameters. I assume you haven't understood me, or that you think this is not fundamental, or whatever. The parameters are set before structures have arisen in the course of evolution in any universe, so your baby universe reference is just an irrelevancy to the point. For those characteristics of the concepts that are worth drawing a parallel between, you only need to re-read Massimo's post. Heritability and variation. Complete obfuscation and misunderstanding by you. I cannot make concepts appear in your mind except by explaining them simply, as above. If you do not understand them, ask Massimo or someone for help, but don't engange in ridiculous pseudo scientific allegations. You have nothing to say above except to use two words from the article (heredity & variation) "as if" everything turns on them. What you may fail to understand is that in single or multiple universes there is no force of selection acting acting on the growing structures (based on various mutated individual "constants") to select them. The parameters are set on the formation of a universe and then proceed to form hydrogen & helium, followed by stars & galaxies, and earth-type planets - which Smolin compares to automatic growth of inherited & varied genes that are subject to Darwinian selection as they grow and function. Hereditability (the DNA process) and variation (the Mutations) are selected under Darwinism after they have arisen, consequently they are irrelevant to Smolin, as Smolin has no selection event. Now, you can waffle about abstract comparisons between DNA / Mutation and the 20 + Constants as a separate issue, but when you take away selection, comparisons of the base level of change is fraught -abstract foolishness unless you can explain why the comparison to DNA / Mutation remains valid without a post change selection event. Do explain if you can why DNA / Mutation remains relevant without selection, and how heredity & variation are the thrust of the article without it (read the title). A foolish insult about pseudo science backed by nothing whatsoever. No doubt other readers will get the point, so you might ask them about it. Smolin is not Darwinian, end of title, end of story (save for truly brilliant insights from other readers?). Ignore further comments from me about it (if there are any). Here's a super simple example for you. An animal mutates flat legs, non-functional and scheduled for death on land, but if it rolls into a puddle it can swim quite well and becomes functional in that selecting environment. The mutated genes (evolution operates at that individual gene level) are functional by virtue of selection - it determines the parameters of functionality. In Smolin, there is no such relationship, merely automatic functioning once a constant has mutated to make a different universe. Get it? If not, ask Massimo about it. Natural selection also applies to dominant defective genes. They are selected against if it inhibits the organism from reproducing. Selection parameters can be part of the makeup of an organism. Which is what Smolin postulates. There are no external selection influences(what is external to a universe?!) The baby universes are selected based on how the parameters affect universe "growth". Similar to a dominant defective gene, universes would be selected against if they do not live to reproductive age. Whether true or not, and regardless of where the analogy best fits, Smolin does postulate a naturalistic algorithm. If the truth of such an idea is whether or not it is 'properly named', then perhaps it isn't true. Or perhaps we need to expand our classification of naturalistic algorithms to find it a home/name. Not to shoehorn it into something truthful, but to give it a placeholder so it can be used as recombination fodder in further speculation. Science fiction authors have done this for years. Even species sorting doesn't fit, from what I can tell. The species are also the source of the environmental gradients. Conceptual confusion. It's a great idea(whether or not it's true), but needs a new name. Then mine is a realistic scientific analysis and Smolin's is an abstract pseudo-scientific analysis, contrary to what you stated earlier. In fact, selection operates on the entire process of heredity & variation. Things change and the environment (including other entities) either allows them as regularities (including gender and sexual selection) or it does not. There is always selection external to the individual entity growing within it, so they are not parameters of an organism (they are parameters that change every which way and survive if externally selected). I am not saying Smolin is worthlessly abstract. The capacity of DNA to arrange as gender to mix & match genes is a root capacity of DNA even though subject to being selected at every step. However, selection is not the word or concept that applies at all in my view, so comparing 20 + constants to root capacities of DNA needs the removal of the word selection to progress. Universes as hermaphrodites, to remove complexities of gender selection, might help his position, but that functionality is still selected by external factors. I am doing Smolin a favor by this analysis, I hope he reads it. Again, the neural system, including the brain, was evolved by unicells communities (cultures) to react to, to exploit, the environments for survival-natural selection. Like all genetics, all biological capabilities, it is a progeny of culture, of response to circumstances. IMO plants’ “brains-mind” are not as developed as in mobile organisms simply because stationary organisms face much fewer survival-natural-selection challenges than mobile organisms. It takes survival-natural-selection challenges to modify expressions of RNA nucleotide genes, the Earth life primal ORGANISMS. See Pavlov. Speciation is a genetic response-progeny to a cultural-circumstantial survival-natural-selection challenge. See Darwin and Pavlov. Examine-compare survival challenges of species, their relative intelligence (learning from experience), and the extents of their progenies and of their speciation. Origin Scientists are no longer doing science. We, and humans in the past, clearly SEE design. But scientists expected to find in the math that this universe not only is eternal(which makes zero logical sense) but also its parameters to achieve cohesion were WIDE--making the appearance of design just an appearance. Well thats not what happened. Now the Math shows for certain that design is involved to the extent far more than we could "see" with out eyes. Einstein tried to wish away the beginning and his peers have been trying to wish away the fine tuning for 50 years. Its to the point where much of the public just cant trust this small group of biased observers. These theories are just embarrassing. If they said, "you know, maybe there is a Creator, but we'll look for other solutions as well"--at least that would have some respectability. But when there is this infantile fear and refusal to even mention God unless its in a joke--much of the public is seeing these people as the deniers of reality--not the explanation of it. a far cry from pedantic pseudo psychology that claims God was thought up because we dont understand lightening--it was because its obvious and the Math has been showing this more everyday. Its time to stop being so afraid of the truth. OK. I think, this idea is pretty interesting to a rational mind. And it might well turn out to be true as well. But isn't this kind of a slippery slope towards creationism? Remember, that's what they say, but with a little twist. That is, the universe is designed, but at a grander scale natural selection reigns. What do you think?